Lynn Williams is widely regarded as one of the industry’s leading advisors to corporate real estate occupiers globally. A CBRE Vice Chairman—the highest title achievable by the firm’s brokerage professionals—she has completed transactions and consulting assignments totaling over 35 million SF. Ms. Williams specializes in the development and implementation of portfolio optimization and complex transaction strategies, including headquarters assignments. Her unique experience as both attorney and broker gives her invaluable insight into real estate decision-making across all major industry sectors. Notable recent transactions include City National Bank (600,000 SF headquarters transaction in 2016), Farmers Insurance (556,000 SF lease), and Paul Hastings LLP (over 300,00 SF in 2016 alone). Ms. Williams joined CBRE in 2015 with her partner, Jeff Welch, after 29 years with Cushman & Wakefield (formerly Cushman Realty Corporation). At the completion of her first year with CBRE, Ms. Williams achieved the Colbert Coldwell Circle Top 3% for her performance in 2016. 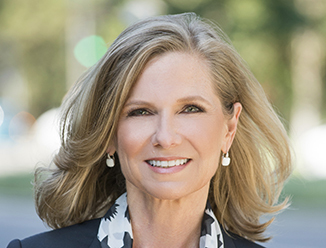 Lynn was named one of Southern California’s Most Powerful Women in Commercial Real Estate in 2016 by Real Estate Forum, and she and her partner were awarded the Best Office Lease Gold Award in 2016 by the Los Angeles Business Journal for the City National Bank lease at Two California Plaza.